Some of the species in our original planting plan would have preferred more consistent moisture in the soil than we could be confident would occur in our garden area. Due to the availability and number of appropriate plant species for our mostly upland site, we altered our planting plan for the Wildlife Garden. The garden area is large – over 1000 square feet, and it is mostly on sloping ground. We divided the overall site into twelve smaller planting zones. 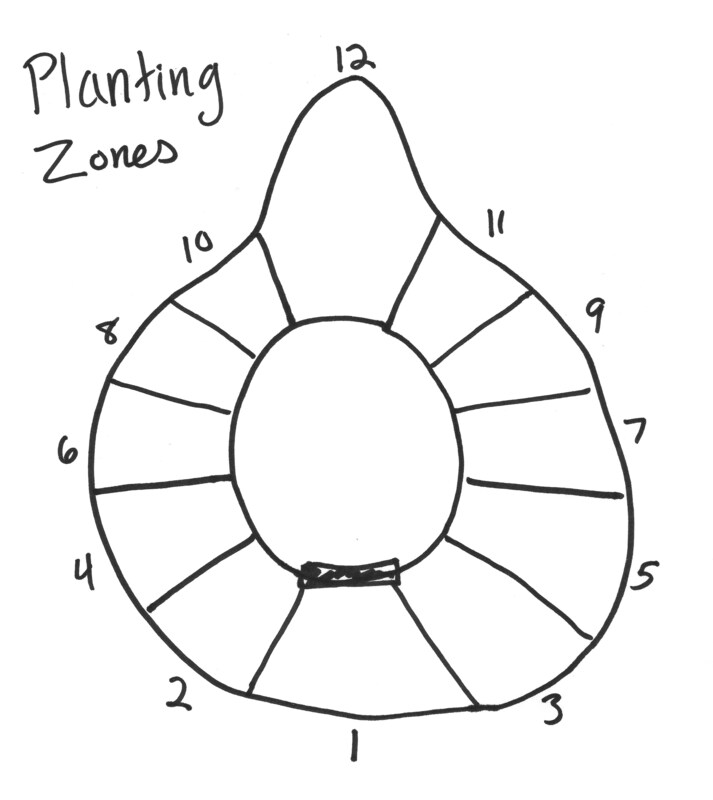 It was easier to estimate how many plants we would need to fill the individual zones. Numbering the zones gave us an order in which to proceed with our work and gauge the progress. Skyridge is fortunate to be located within a short drive from Hidden Savanna, a dedicated Native Michigan Plant Nursery. Chad Hughson has been an indispensable source of advice and information on species appropriate for our garden area. Hidden Savanna supplied the majority of our transplants. Our completed planting includes 37 varieties of locally sourced native plants! The Skyridge Wildlife Garden project begins with the transformation of a neglected rain water detention basin into a rain garden planted with species of native Michigan wildflowers and grasses. 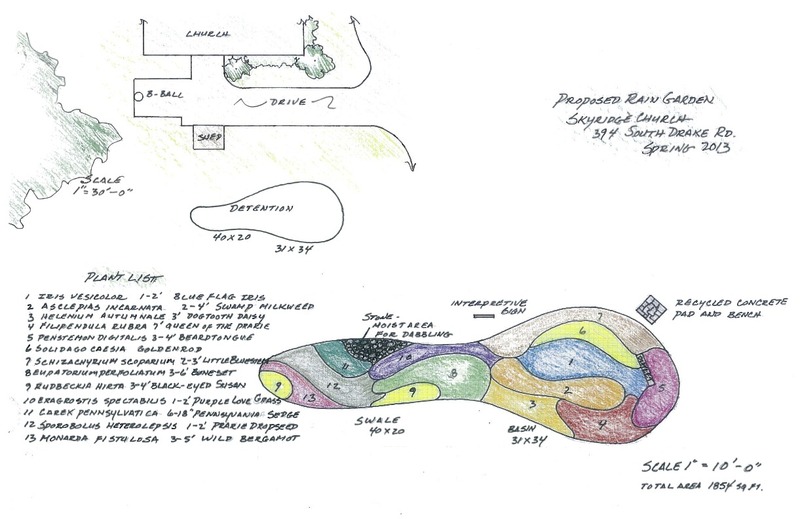 The rain garden will reduce unsustainable lawn space and boost biodiversity through native vegetation. Drought tolerant plants will populate the upper areas reducing the need for irrigation. Native plants will create a more porous soil structure through their deep rooting and filter run-off water thus improving the watershed and downstream water quality. Click on the image above to see a larger view of the plan. Individual numbered colors represent the various species listed at the bottom left.